There is nothing as comforting as a cup of tea, and that applies equally to herbal teas. Herbal teas should be delicious. Just because they are healthy doesn’t mean they should taste vile. The secret lies in choosing the right herbs, making the tea correctly and not being a purist. Add honey, fruit, veggie or lemon juice if it improves the flavour. 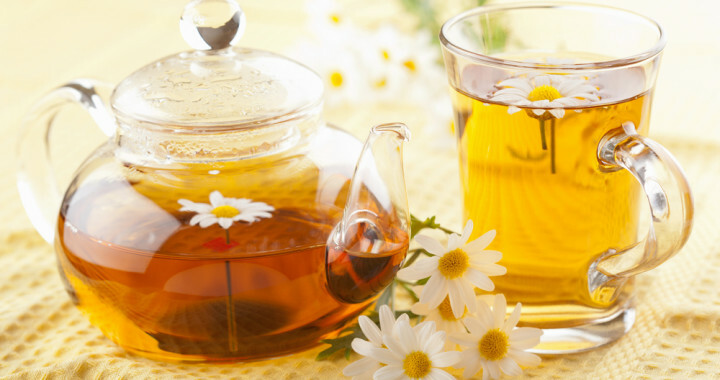 What’s nice about herbal teas is that you can drink them morning, noon and night. In the morning a cup of herbal tea cleanses the system. At lunchtime it may be a useful pick-me-up or act as a digestive after a rich dinner. A final cuppa just before bed helps dissolve the stress of the day. • Parsley (Petroselinum crispum) as a tea is a very effective cleansing herb because it detoxes the kidneys, contains vitamins A and C and also boosts the immune system. It has a clean, earthy taste and is best combined with honey, apple or even carrot juice. Parsley grows in sun or semi shade and needs rich, moist well drained soil. • Lemon verbena (Aloysia triphylla) has the strongest lemon taste and fragrance of all the lemony herbs. Instead of starting the day with hot water and lemon, try lemon verbena tea. For extra flavour add pineapple or apple mint leaves. Verbena grows best in full sun, likes a light soil that drains well and should be watered regularly. It is sensitive to cold and will lose its leaves in winter but can be cut back in spring and it will sprout again. • An energy boosting tea is a combination of rosemary (Rosmarinus officinalis) and ginger (Zingiber officinale). Both alleviate digestive problems and stimulate the circulation while rosemary also acts as an anti-depressant. Add honey for taste. Adventurous types can add a bit of chilli! Rosemary is a slow growing bushy perennial that is drought tolerant and frost hardy. It does best in full sun, in light, rather than heavy soil, that drains well. • Pineapple sage (Salvia elegans) doesn’t have any medicinal benefits but its fresh, pineapple flavour is delicious and refreshing. Make an iced tea with pineapple sage and add Mint julep for an extra punch! Pineapple sage is a bushy perennial that grows 1,5m high and wide, with spikes of red flowers and lime green leaves. Grow it in full sun, in a position that is sheltered from frost. It requires moist but well drained soil. • Garden mint (Mentha spicata) and Spearmint (Mentha spicata aquatica) are the two most popular mints. They have deep green, very aromatic leaves, with the latter having a more spearmint flavour. • Ginger mint (Mentha Gracilis) has variegated gold and green ginger scented leaves while pineapple mint (Mentha suaveolens variegata) has green and cream variegated leaves with a strong pineapple scent. • Mint julep (Mentha spicata ‘Julep’) has sweetly scented leaves and a striking fresh flavour. All mints require the same kind of growing conditions; moist, rich soil in a partially shaded spot. The plant dies down in winter but will come up again in spring. Fennel (Foeniculum vulgare) is delicious if you like the taste of aniseed. It is a digestive herb as well as a liver tonic (to offset all that red wine at dinner). It is also a marvellous slimming herb that helps with weight loss. Don’t drink more than two cups a day if you are drinking it for dieting reasons. Fennel does best in well drained or sandy soil, and prefers a sunny, sheltered position in winter. Chamomile, lavender, lemon balm and rose geranium are soothing, scented herbs producing a light, perfumed tea, either on their own or as a delicious combination. Sip the tea just before you go to bed. Chamomile (Matricaria recutita), specifically the flowers, help to relieve stress, anxiety and digestive problems, when made into a tea. It is an attractive low growing perennial groundcover with fine green leaves and white daisy like flowers with deep yellow centres. It grows in full sun and likes soil that drains well. Lemon Balm (Melissa officinalis) is an excellent digestive and can also be sipped after a meal. The leaves have a delicate taste so you need to use more than normal, compared to strong culinary herbs. Crush or bruise the fresh leaves to release the lemony flavour and add honey for extra flavour. Lemon Balm is a low growing perennial (30cm) that grows in moist, fertile soil and does best if it can receive morning sun and afternoon shade. • Use only the healthiest, fresh leaves and bruise them slightly before pouring over the just boiled water. This helps release their flavour. • China or glass utensils are the best; not aluminium. The easiest way to make more than one cup is with a glass coffee plunger. When the herbs have steeped enough, push the plunger down; it acts as a strainer. • Use the right amount of herbs. For a single cup you’ll only need a short sprig of leaves and one or two flowers, if available. For a teapot or plunger use one third herbs to two thirds water. • While infusing, cover the cup to prevent the herb’s volatile oils from evaporating as they give the herb its tonic or therapeutic action. Strain and drink. Herbal teas become bitter if infused for too long. The general rule is five minutes or less, depending on taste and the type of herb. Strongly aromatic herbs like rosemary and lavender need even less time. It should be just long enough to impart their lovely, perfumed flavour. Posted in Tea and tagged chomomila, delicious, flavour, healthy, lavender, lrmon verbena, lunch, mint, morning, noon, parsley, rosemary, sage, tea.